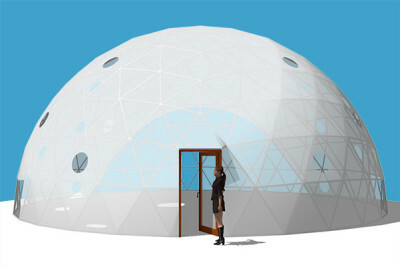 Realize your growing potential with our Geodesic Greenhouse Domes. 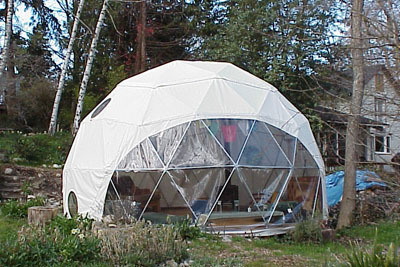 We build affordable, state of the art Geodesic Greenhouses and Geodesic Grow Domes for the both the industrial grower and the home gardener who desires healthier flowers and vegetables from their own backyard. 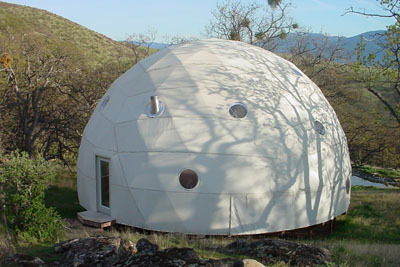 Our domes ensure an extended growing season from seed to harvest. 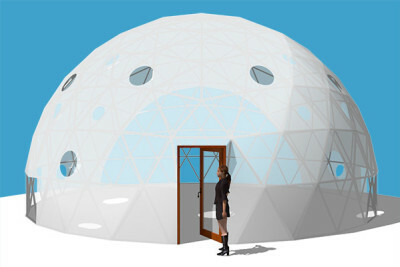 Our Custom Geodesic Greenhouse & Grow Domes are ideal for energy efficient growing and hydroponics. Our advanced system provides the climate and light control best suited for indoor growing, with the benefit of natural sunlight and fresh air for your plants. 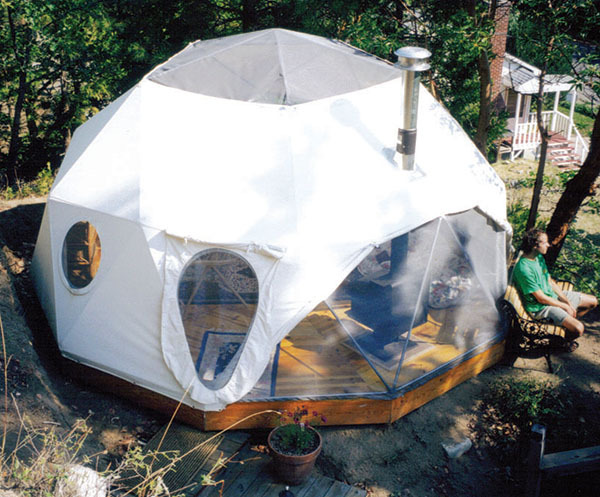 We also build Prefabricated Greenhouses and Geodesic Grow Dome Kits for the home gardening enthusiast looking to create an efficient and affordable garden in the most challenging of climates. At the heart of our company is a desire to encourage sustainable, eco-friendly living. 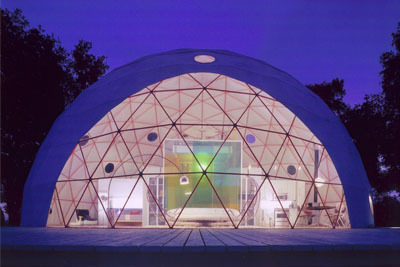 Our Biosphere Domes integrate the intelligence of nature with human ingenuity. We will help you create an ideal biosphere for your local climate to ensure an extended growing season and healthy plants no matter what season. 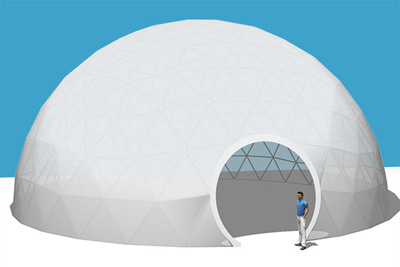 Connect with a representative so we can work with you to create a custom greenhouse dome in your own backyard, community garden, or industrial farm. 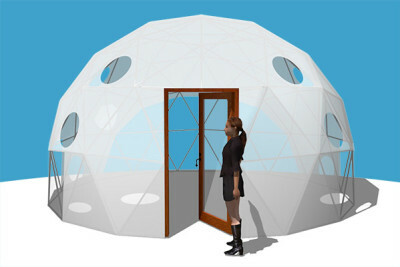 Pacific Domes is excited to provide information to purchase a complete Greenhouse Aquaponic system. 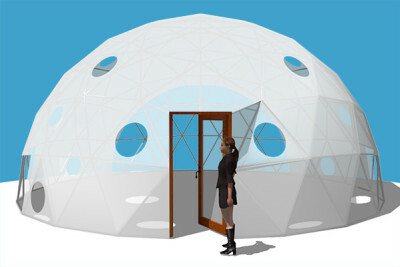 Pacific Domes is partnering with Aqua Planet and NorCal Aquaponics to bring you Aquaponic Domes. Aquaponic Domes are at the forefront of sustainability and are designed to produce most of your food requirements. 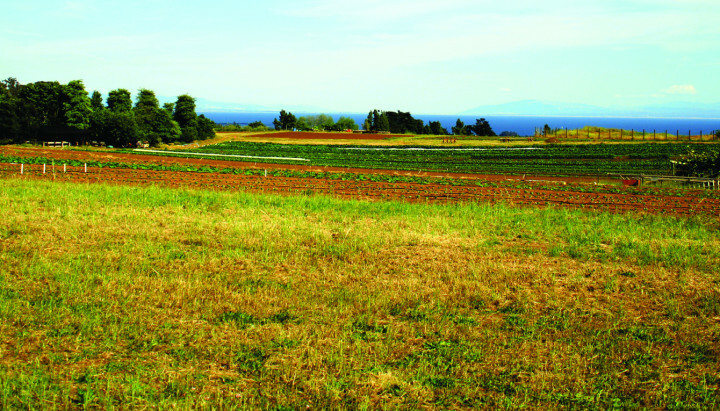 You can grow enough food for your entire family, friends, and even venture towards your own commercial farming business all year long in any climate. What is Aquaponics? Aquaponics refers to farming fish and plants together in a soilless, water-based system. 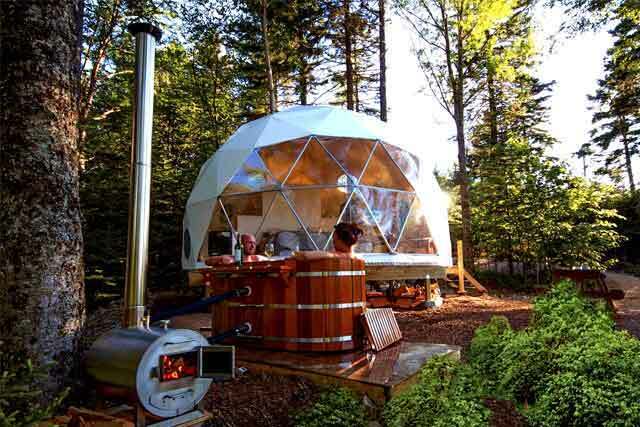 Imagine a dome in your own backyard that is flourishing from top to bottom with fruits, vegetables, greens and kitchen herbs all suspended from our Burly steel geodesic frame, engineered to support the weight of the growing-troughs filled with water. Then, swimming underneath is an aquatic world of shellfish, cold-water fish like trout and catfish, or warm-water fish like tilapia. Benefits – Aquaponic systems eliminate the need for soil and fertilizers. The fish fertilize the plants and the plants purify the water for the fish, supplying sustainable food in return. You and the fish eat the plants, and you eat the fish! 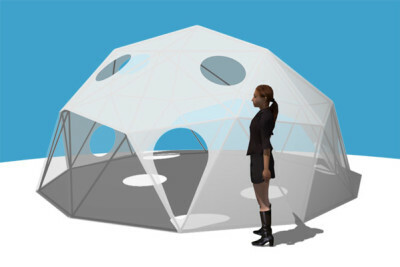 Pacific Domes has recently partnered with Robert Henrickson, author of Algae Microfarms. Robert is a world renowned expert on algae growing and it’s nutritional value. The health benefits of Algae are vast. One example of the incredible nutritional and health promoting qualities of algae was the use of spirulina to help treat and cure radiation sickness in Russia after the Chernobyl incident. “Doctors reported spirulina’s health benefits for child victims of Chernobyl radiation. Spirulina reduced urine radioactivity levels by 50% in only 20 days.” Robert outlines these spirulina radiation treatments and results – “Spirulina is one algae that is nutritious and has been successfully cultivated for over 30 years and now is being grown on both large and small farms today.” Algae is nutritious and increases oxygen levels in the atmosphere. 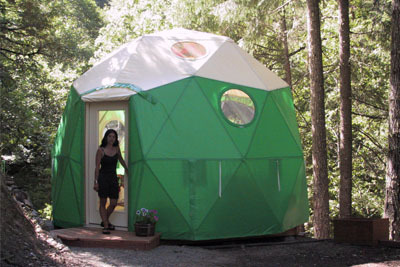 Pacific Domes is proud to be a part of the algae movement! 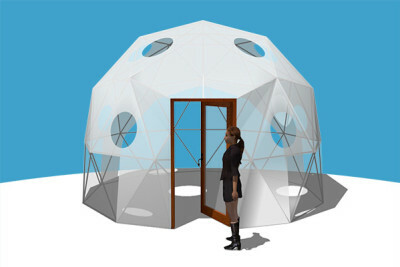 Portable Myco Domes: Pacific Domes has partnered with Paul Stamets and MycoRiseUp.Com to bring you Myco Domes; an instant, portable, and self-contained units for growing gourmet and medicinal mushrooms. We offer products and solutions for every size: home, community or commercial projects. Did you know? Honey Bee Domes: Pacific Domes is developing Bee Haven Domes in collaboration with Pollination Conservation a 501c3 and Laura Ferguson, Director of the College of the Melissae: Center for Sacred Bee Keeping, and Sarah Red-Laird – Bee Girl. “If the bee disappears from the surface of the earth, man would have no more than 4 years to live.” -Albert Einstein. Pollinators all around the world are being threatened with extinction. Habitat destruction, Colony Collapse Disorder, diseases and parasites, pollution and pesticides, are all wreaking havoc on pollinators. As keystone and linchpin species, the loss of such creatures not only endangers their dependent ecosystems, it also threatens our own existence. 1/3 to 2/3 of food consumed by humans is directly related to the honeybee which is disappearing at the rate of 40% per year. The mission of Bee Haven project is to educate the public and to provide solutions to restore the health of pollinators everywhere. 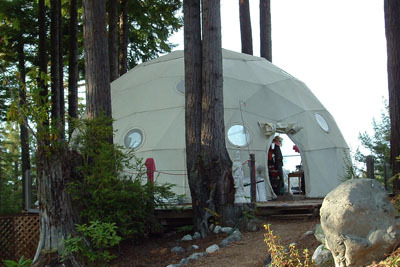 Pacific Domes is committed to providing the right specification of geodesic dome to house your bee haven. 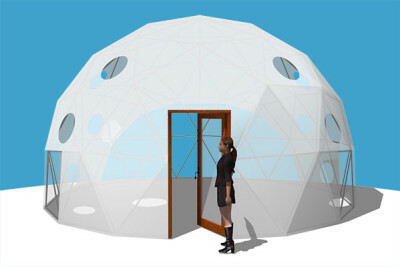 Pacific Domes has partnered with Unco Industries to bring you the VermaCulture Dome. Here’s your opportunity to develop a money producing hobby, a genuine full-time worm growing business of your own, while doing your part to restore healthy soil for agricultural use. 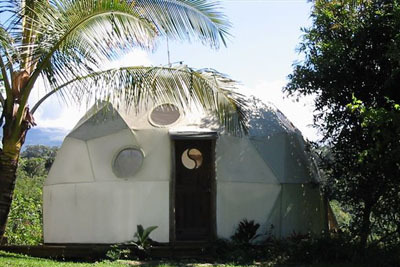 Our VermaCulture Domes make an excellent place to produce and sell worm castings. Our compact, part time worm raising program could take as little as 8 hours a week! The Unco System is one of the most technologically advanced commercial worm farm systems available in the world today. This system provides the vital necessities required to have a successful worm farm for home or commercial use. Included are all the necessities for cost accountability and inventory control to insure profitability.